Qualcomm settles long lasting patent disputes with Apple. The new deal will immediately boost EPS estimates. The stock remains cheap with reasonable $7 EPS targets and a $70 stock price. In no big surprise to investors following ourinvestment researchonQualcomm(QCOM), the company was able to obtain asettlementwithApple(AAPL) over their wide disputes on patent royalties. The wireless technology giant had already garnered settlements in China and South Korea along with recent admission from Japan regulators that Qualcomm was not a monopoly. Along with constant signs that Apple was struggling to obtain a viable 5G modem by 2020, the expected outcome was a settlement that would send the stock soaring. Outside of unexpected financial terms, Qualcomm heads higher. Read the full article on Seeking Alpha. More commentary on WhoTrades. Typically, a reverse merger is a sign of a company facing troubling finances, though I'll be the first person to tell investors that this isn't always the case. Each stock in the process of a reverse merger needs the merits of its individual case reviewed by an investor. 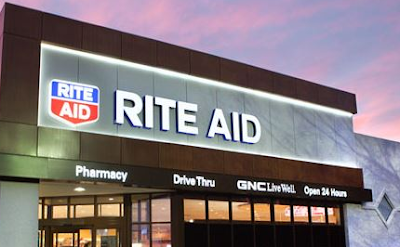 In the case of Rite Aid (RAD) and Novavax (NVAX), these reverse mergers are signs that these stocks face incredibly difficult times ahead and the stocks are likely headed even lower. AMD takes a hit from $30 despite a bullish analyst call with a $35 target. Most analysts continue to under estimate the gross margin upside for the chip company. The 2020 base case is the average analyst estimates for $8.25 billion in revenues and $1 EPS. The EPS upside is $2-plus based on higher margins from market share gains. The market continues to underestimate the margin improvements in the works at Advanced Micro Devices (AMD) that will drive substantial improvement in profits and hence profits per share. The shift to 7nm chips will lead the company to a technological position it hasn't held in comparison to Intel (INTC) in a long time, allowing for better pricing scenarios and substantial margin improvements. At $28, AMD isn't the great deal the stock was at the end of 2018, but AMD still has more upside in 2019. Read the full article on Seeking Alpha. More commentary - WhoTrades Disclosure: No position. Please review the disclaimer page for more details. New Age enters 2019 with a new business and a large cash balance. The company forecast $30 million in CBD-infused beverage orders. The stock below $5 offers a tantalizing value with all of the potential catalysts. The management team must shake off negative sentiment by beating Q1 revenue forecasts that appear conservative. New Age Beverages(NBEV) hit lows below $5 as the market has clearly lost confidence in the company entering the CBD space before the general market. The company is entering a new age with the closing of theMorinda dealand a level of liquidity that would've help prevent the 2018 inventory issues. Despite a lot of known concerns, New Age is a play on a market shift to wellness and CBD-infused drinks that doesn't necessarily need success in order for the stock to rally. Read the full article on Seeking Alpha. Investors negative onTesla (TSLA)are possibly too focused on quarterly delivery numbers. Telsa has a potentially bright future in an autonomous fleet that earns owners money when they aren't using the vehicle. At least, Elon Musk sees such a future as a competitor againstLyft (LYFT)andUber (UBER). HEXO Corp. is playing several favorable trends that should lead the cannabis stock to rally further in the next few months. The uplisting to the NYSE American stock exchange is a major catalyst that is still playing out. The Newstrike Brands deal gives the company the scale needed to attract more institutional investors. The stock is cheap on a P/S ratio in comparison to industry peers. The market loves the growth offered by the cannabis sector, andHEXO Corp.(HEXO) is the next company to offer that expansion profile that the market eats up. The combination of an uplisting to a major U.S. stock exchange and a large merger positions the stock for a big breakout to new highs, typical of the sector. Read the full article on Seeking Alpha. More commentary - WhoTrades Disclosure: No position. Please review the disclaimer page for more details.